Traveling can be stressful, even when you going alone, when you add your family to this, it can turn into a real nightmare. Especially, if you don’t know which type of accommodation to choose. For some people, a hotel room is just a palace where they will sleep and take a shower, but if you make wrong steps here, it can ruin your well – planned a vacation. Here are our tips on how to choose the right room. When choosing a right hotel room, make sure that you look at the hotel style first and all the features it offers. If you are traveling with your family, you will need a big and spacious room, maybe an even small kitchen and free Wi – Fi. You don’t want your family to feel uncomfortable in a small and crowded room. There are many internet forums and blog posts nowadays on the internet. If you are interested in some hotel or Inn, you should always check their credentials. Many people love to discuss these matters on the internet, and they will give you their honest opinion. On the other hand, there are specialized websites where you can ask the question and check out the rates of certain establishments. If this fits your budget, maybe you should consider this option. It will double up your space and give your children and you a little privacy. If you kids are staying in the separate room, teach them to lock their door properly and only to open it when an adult is present. If you don’t have enough money for this option, don’t push your luck, just book a slightly bigger room. If your kids tend to be loud of you, have a small child that can’t stop crying, as the hotel manager of staff to put you in a good room. In this way, you will avoid complaints, and you won’t disturb your neighbors. Maybe a good spot will be at the end of the hallway where you will have only one neighbor. Sometimes, these types of rooms can be structured differently, and you may end up getting on the space. 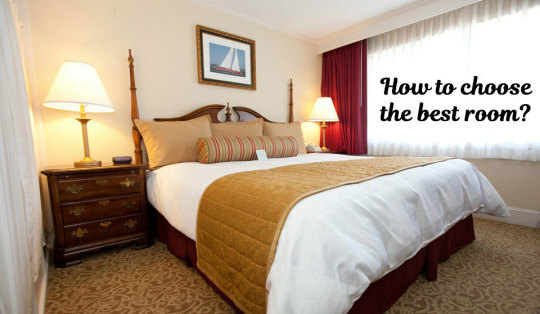 While you are reviewing the available rooms and hotels and inns, make sure to get the most space and beds for the price you are paying. Suites have their advantages, and they can be much cheaper than adjoining rooms. Depending on your stay and place, they are proven to be cost efficient. Still, you will want a suite that is spacious, has a place for your clothes and some nice additions, such as whirlpool baths. You can find many nice places for small money, and this is where people usually make mistakes when they reject a room based on the price. On the other hand, there are some expensive rooms which aren’t worth the money you are paying them.